Pokies are an part of life for many Australians, deeply engrained in the Aussie culture along with hard work and downing a schooner of grog at the local pub. But for some, the urge to play poker machines takes on a darker aspect, one that can lead to financial hardships, legal problems, and emotional distress. Gambling addiction is one of the unfortunate side effects of casino gaming, and is a very real issue that shouldn’t be ignored. If you’ve ever wondered if pokies are addictive, reading this article should provide you with a greater understanding of the subject. The convenience of ATMs – Sit down at any pokie at any land-based casino, and you’ll notice an ATM right around the corner. This isn’t by accident, as the casino wants to make sure that players who run low on money are always able to get more funds with a minimal amount of effort. While this might be simple convenience for some, it can lead to a vicious cycle where addicted gamers withdraw steady streams of money from their bank account in an effort to win. 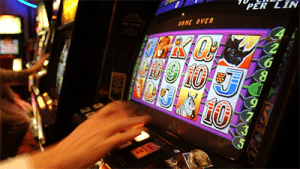 Pokies are everywhere – From casinos to pubs, pokies can be found at numerous locations throughout Australia. Now that real money pokies are available online, for those who have gambling addictions there can seem like there’s literally no escape. Sensory stimulation – The sights and sounds of a pokie machine are stimulating to the human brain. You might be surprised to learn that several leading companies employ psychologists to help design their pokies games to be as appealing as possible. Dopamine – This is a chemical in the brain that makes a person feel good. When they gamble, the level of dopamine in the brain increases, and the player tries to keep this feeling alive with continued play. For example, one study revealed that players who were being treated for Parkinson’s disease were taking drugs to increase the level of dopamine in their brains. While it helped with their ailment, this also made them vulnerable to gambling addictions. Not surprisingly, pokies were singled out as the casino game that exerted the greatest influence on these players. Speed of play – The fast nature of poker machines leads to players pumping in a continual stream of money. Before you know it, you can lose a lot of money in a very short amount of time. It also creates a rush of adrenaline, something that problem players will do anything to keep going. Bonus rounds – Hitting these special rounds and bonus features can result in larger payouts and a heightened sense of excitement. They also keep players rooted in front of a pokie, inserting more money in the hope of once again achieving a high. Impressive jackpots – Pokies offer generous jackpots, especially those tied to a progressive network. This promise of an instant fortune is tempting, and it leads some players to spend everything they have (especially if they get an occasional win to keep them interested, which is known as “intermittent reinforcement”). Low denominations – Many pokies can be played for as little as a penny. Players come to believe that they’re not spending much money, although the true amount can quickly climb higher than expected. No skill required – Unlike some hobbies, or other casino games like blackjack or poker, playing a pokie requires basically zero skill. If you can insert money and push buttons, then you have a chance at winning. This makes them appealing to a wider audience and opens the gate for problem playing. While some players seem immune to pokie addiction, others are more susceptible. If you don’t know where you stand, here are signs to watch for. You spend more time playing pokies than you do with family or friends. This may increase to the point that you have little to no interaction with people outside of a casino. Playing the pokies isn’t as fun as it used to be – it has become an expected part of your weekly routine. You lie about going to the casino to play pokies. After losing more than expected, you withdraw additional funds in an effort to break even. You begin to feel embarrassed about the amount of time you spend playing pokies. You spend an increasing amount of time playing pokies. You become visibly agitated if you are unable to play your favourite game. Your gaming sessions end up lasting several hours more than you intended. Money meant to pay bills is now spent on poker machines. When you’re not playing pokies, you frequently think about getting back to the casino or pub to play again. Pokies, and all other casino games, should be an occasional recreational activity that you embark upon for fun and the thrill of potentially making a win. If you start to feel your pokies experience is spiralling beyond your control, it’s time to seek help. If you feel your obsession with pokies is out of control, it’s important to get help as soon as possible. Fortunately, there are numerous paths to recovery. 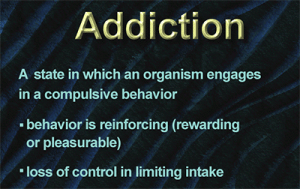 A trained psychiatrist can evaluate your behaviour, and they can also make suggestions for kicking the addiction. Weekly support groups are also important, as they allow problems gamblers to lend support to others with similar problems. Agencies and organisations also exist to help those in need. You can visit governmental sites such as Gambling Help Online or Problem Gambling, to receive help for no cost. And for those who are unsure if they’re addicted, a simple quiz may demonstrate how many warning signs an individual is exhibiting. Online casinos offer all kinds of features to help curb problem gambling. Players can enforce things like time limits and money limits where the casino will lock them out once they’ve reached their own self imposed limits. Are pokies addictive? This is a difficult question to answer, as the effects of poker machines differ from one individual to another. With some players, the answer is a definite “yes,” while others can quit any time they wish while only playing a few times a year. By the very definition of the word “addictive,” however, the ability to hook even a small group of players means that pokies have an addictive quality that must be carefully monitored by those sitting down in front of them. Luckily, people dealing with pokies addictions aren’t alone. Numerous organisations exist to help people kick the habit, and friends and family should also be consulted during these times. While an addiction to poker machines can be a dreadful experience, there’s always assistance for those whom are willing to seek it. The most important advice however, is to stop playing or cut back before your fondness for pokies becomes a problem. On a related topic of addiction which can have negative affects on gambling, read our article about why you should limit your alcohol consumption while playing the slots.